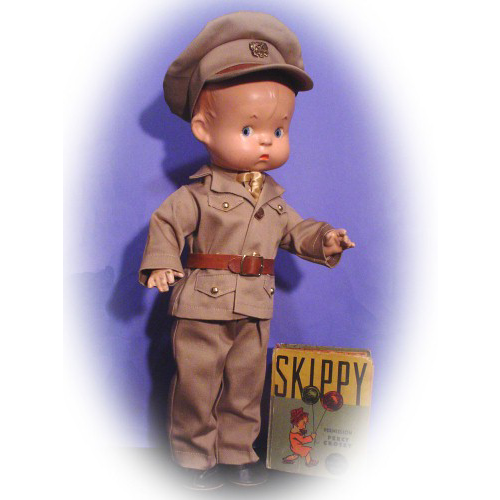 This Skippy Doll Army outfit fits the Effanbee 14″ Skippy dolls. 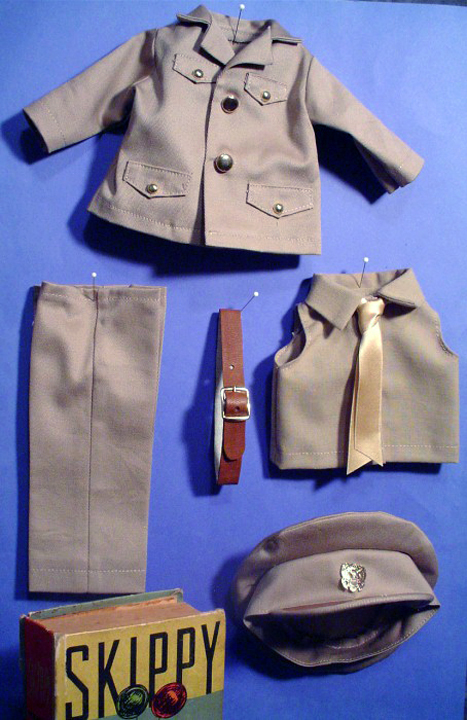 It includes 6 seperate pieces: jacket, pants, hat, shirt, leather belt, and silk ribbon tie. 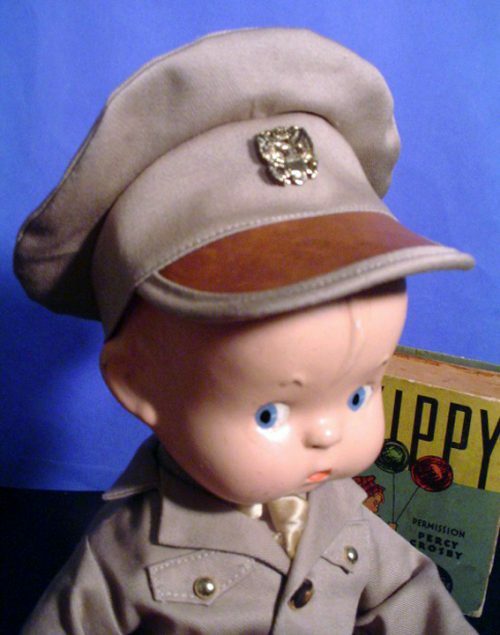 It is available with the Officer’s Hat, or the Soldiers Hat. 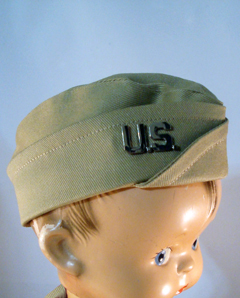 Pins are included on the hats. 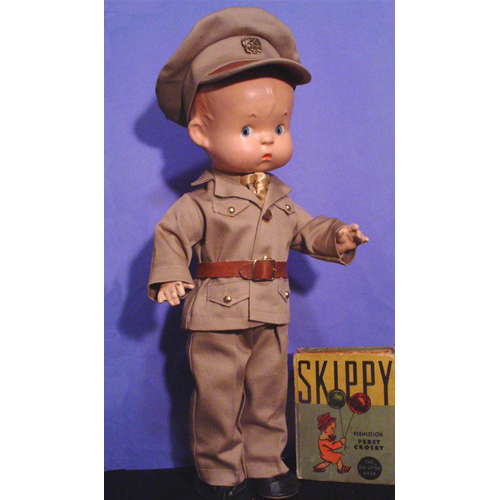 The Skippy Doll Army uniforms on each are the same. 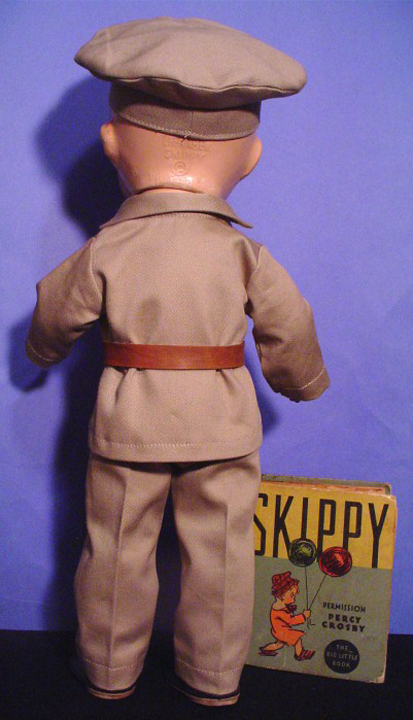 There were three different body styles for Skippy. 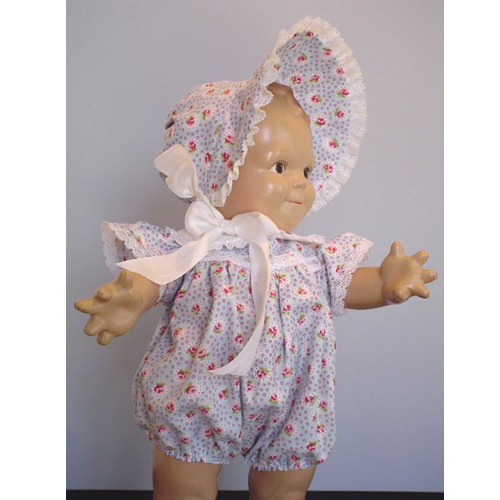 The composition body is exactly the same as the Patsy body. 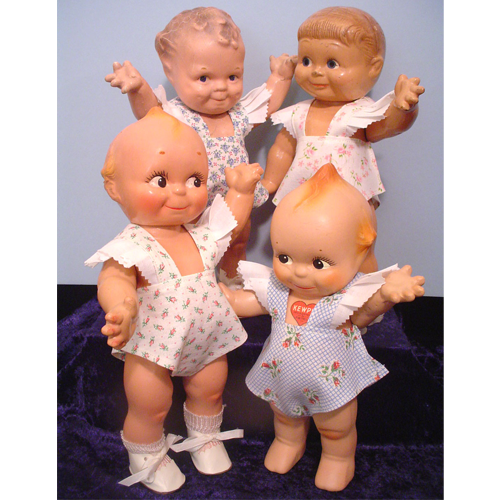 The other two were cloth bodies with composition arms and legs; one with molded shoes and the other with feet. 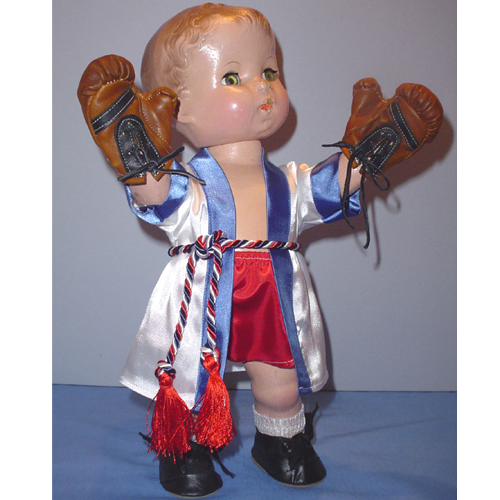 Don’t forget his shoes and socks if your Skippy has bare feet!